Rod Seeley is a mixed technique Digital Artist and Photographer, the computer, a mouse and imagination are his tools. Vibrant colors, use of shapes and digital art mixed with photography, abstract and fractal art are the base for his creative artwork style. He uses a variety of graphic and paint programs combined with Photo Shop to create unique and colorful art. He is self taught but does have an Art background. Mr. Seeley is a 3rd generation native Californian born and raised on Southern California and has had the good fortune to have traveled all over world in the last 30 + years. He started in 2010 experimenting with graphic and paint programs and has now created a style that is colorful and unique, his artwork and has been exhibited local community galleries and several International Art Shows/Exhibitions. In 2012 Mr. Seeley started entering juried international exhibitions and has won awards for his work. 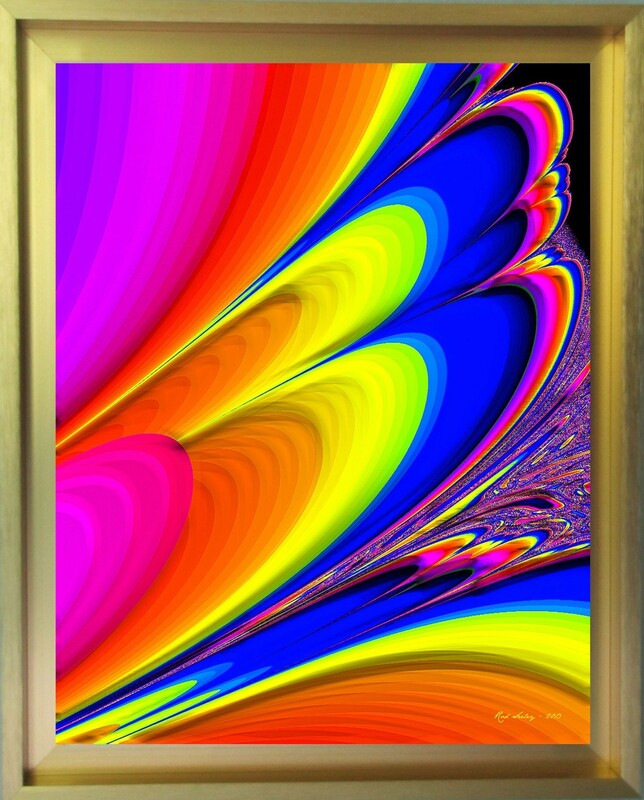 His artwork has also been included in the Museum of Computer Art and The International Art Guide – “Abstract Art Showcase”. His artwork also appears in Volume VII & VIII – “International Contemporary Masters” a Juried art publication. Artwork has been exhibited at Art Expo NY – 2013, 2014 & 2015; Spectrum Miami 2013 & 2014 and many other International art venues. I am a self taught digital artist that is always pushing my creative boundaries through my unique stylized Fractal Art & Digital Art creations. My passion is utilizing creative shapes and bright colors combined with dozens of special techniques to create truly unique artwork. Many of my pieces are enhanced using a customized digital paint (oil) technique. My artwork is designed to be done on high gloss metal in a metal shadow frame which adds an additional visual dimension to the artwork. The artwork has won many International Awards & Special Recognition’s. Booth & Art - "Best of Show"